Gone are the days when fashion used to be an exclusive domain for high class and wealthy. The economic boom that the world in general and India, in particular, has witnessed over a period of past few years, has made fashion extremely affordable and within the reach of burgeoning middle class of India. Also, looking presentable and good looking at all times has become important, thanks to social media revolution and the trend of selfies. A direct outcome of this phenomenon has been a rise in the demand for fashion designers and designer labels. More and more people now prefer to wear exclusive outfits rather than just picking up something from regular shops. Thus the field of fashion designing is gaining prominence. In alignment with this, ACCT has introduced a certificate course in Applied Fashion Design and Textile. This course has been designed in order to impart training in different domains like Pattern Making and Garment Construction, Fashion Designing and Fashion Drawing etc. Course enables steady progress of students from simple designs to more complex patterns and prints and from catering to the needs of a single customer to moving on to mass production. Studying fashion designing at ACCT equip students to understand the technical details behind fashion designing industry. 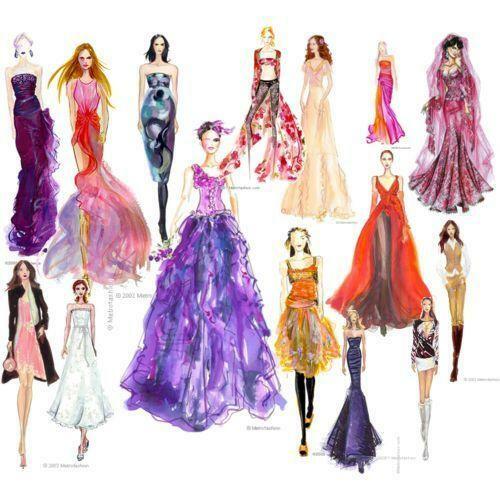 There are number of benefits of studying fashion designing at ACCT. Our faculty members, who are experts in their field, identify the strength of each student and then push them to build upon that. Class sizes at ACCT are deliberately kept small so as to ensure that each student receives complete attention from the teacher and is able to freely air their concerns. Fee structure is very economical and one month of industrial training is provided to give practical exposure to students. A multi pronged assessment strategy through assignments, class studies and practical’s, is followed. Thus, fulfil your dream of entering into the world of fashion designing with ACCT. Contact us to know more about our courses.